Holiday Fun just a click away! 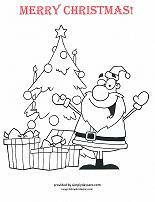 Here's a few free Christmas printables your daycare kids may enjoy. 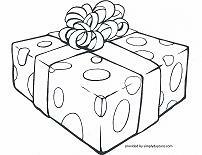 Activity sheets and coloring pages are the perfect quiet time activity. With Christmas just around the corner, the excitement of waiting for the holiday to arrive can sometimes have the children behaving a bit exuberant. That's typically when printables are a good choice. To print, simply click on the page of your choice to open a PDF file for immediate printing. You'll need to have Adobe installed on your computer. If you don't already have it, you can get it free at get.adobe.com/reader/. The free printables offered here are for personal home or classroom use only. Please keep all copyright information intact. While all links are appreciated, please link to this page and NOT to the PDF file. 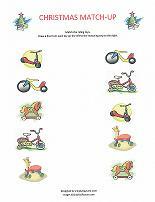 Let's start with the printable worksheets for kids. 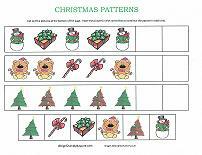 Christmas patterns is a cut and paste activity. Cut out the pictures at the bottom of the page, then paste the pictures in the correct box to continue the pattern in each row. Bring out the scissors and glue and kids will generally beg to participate. 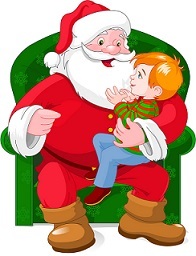 Christmas Match-Up is simple enough for younger kids. Just draw a line from each riding toy on the left to the matching riding toy on the right. 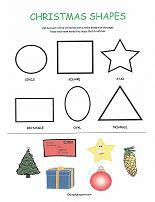 Try the Christmas Shapes Worksheet. There are six shapes and six Christmas items. Cut out the pictures at the bottom of the page. Then paste the pictures inside the shapes that each picture matches. 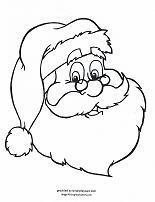 OR... make your day even easier with Christmas coloring pages. Here's a few Santa Claus pages to color. 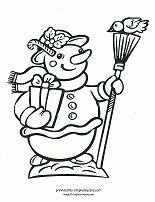 Turn a coloring page into an art project. 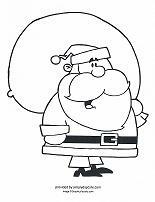 Try printing out the picture of Santa's face on card-stock paper. Have the children color his eyes and hat. Glue on cotton balls for his beard and hat trim. 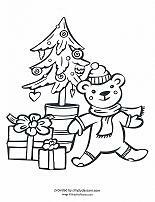 More options are a color-by-number tree, Christmas stockings, a snowman, gift or a bear with a tree and presents. Bring conversation into your coloring time. 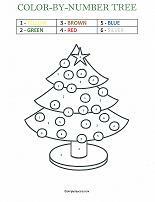 Ask the kids to describe their Christmas trees at home. Have them tell you about their favorite ornament on it. Ask if they are leaving milk and cookies out for Santa. If so, what kind of cookie? This type of conversation lets them talk about Christmas and feel the excitement without (hopefully!) being too noisy. 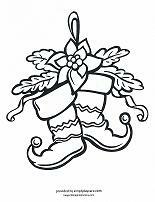 from free Christmas printables back to printables main page.